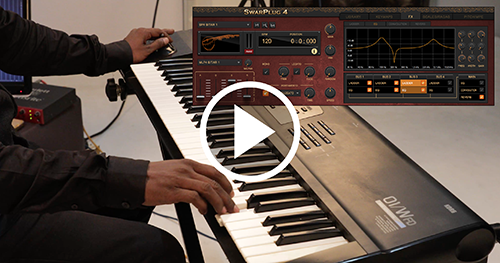 We are delighted to announce the release of SwarPlug 4, a fully reengineered version of our Indian music synth that is packed with new features such as buses and effects, MPE support, key mappings customisation, portamento, legato, scales customisation with semitone tuning, time-stretching and much more... Find out more about these enhancements through the different tutorials on our youtube channel. This update can be downloaded free of cost by registered SwarPlug 3 users at our Updates page. Others can now purchase it from our online shop. Just note that the packaged version will still take some time, so only download version is available at the moment. 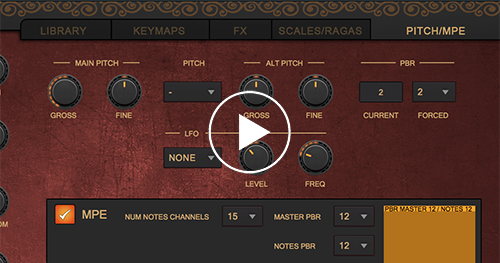 Along with this plugin update, we are also releasing a new multi-layered (ML) pack that includes 2 different Sitars and a Surbahar, perfectly resampled in 48kHz, 24bits, multiple mics (direct mono and stereo) and multiple samples per stroke. It also comes with a large set of ragas development (aalaps) in MIDI format that you can audition and get inspired from. We have no doubt you will thoroughly enjoy these stunning new sounds. You can purchase ML Pack 4 from our online shop. And that's not all! We have also released a couple more sample packs that you can download free of cost through the Swar Dashboard utility that comes with SwarPlug 4. Fully resampled (48kHz, 24 bits) Swarmandal in 3 layers, with very beautiful strokes, soft, normal, and somehow sharper ones. Also includes upwards and downwards scales (aroha & avaroha) of over 110 ragas as MIDI clips that can be dragged directly on your tracks. Three new professional Tanpuras, fully resampled (48kHz, 24 bits. dual mics) in 3 layers and including ready-made MIDI drones for both Ma and Pa in all possible keys and in 4 different plucking cycles (Pa Sa Sa Sa, Pa - Sa Sa Sa, Pa Sa Sa Sa -, Pa - Sa Sa Sa -) that will make it very easy to add Tanpura tracks to your compositions. Detailed tutorials covering all aspects of SwarPlug 4 and its Dashboard utility.